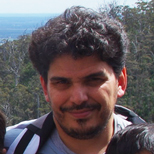 Karl Gruber is an evolutionary biologist and a freelance writer currently based in Perth, Western Australia. He has a M.Sc. degree from the University of Minnesota and (soon) a Ph.D. from the University of Western Australia. Karl writes about science, environment, technology and health for a wide range of audiences.